$1.99 to $64.99 & FREE Shipping on orders over $59 $35. 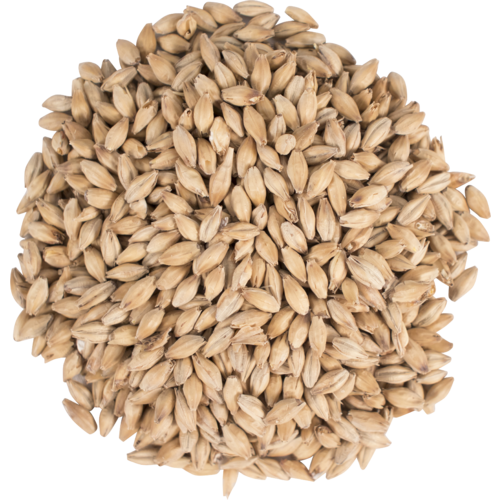 1.1 L Simpsons - Golden Promise Malt grown in Scotland produces a clear, sweet wort that is the go to choice for Scotch Ales. Tasted raw it has a bit more sweetness than Maris Otter which has more a bready richness. Can be amazing in Pale Ales or IPA's where you want a malty base to fuse with the hops (Yum!). Also try it as a smaller percentage in any recipe to add complexity. I like this malt as the base malt in IPAs and stouts. It is 1 ingredient in a beer that I get requested to make. Want to give it a try in place or IPA. 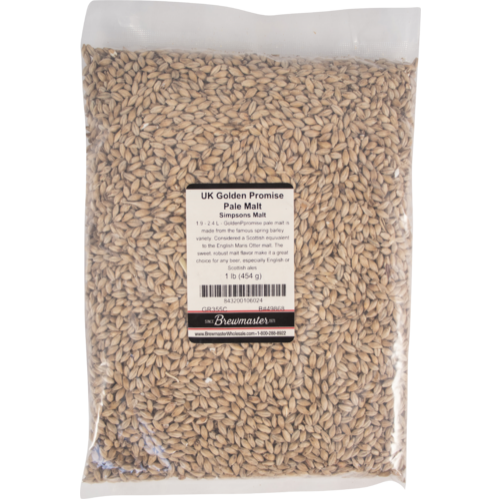 Great base malt for pale ales and IPAs. Heard good things about this malt. Wanted to try something new. I heard itâ€™s good in IPAs and I wanted to try a batch. For home brewing some extremely hop forward ipa's...hopefully anyways. The grain is great I've used it before and have been very pleased with the results. It'll create delicious full bodied single malt, particularly in a strong ale. I'm not happy with how it was milled. I found completely uncracked kernals in my spent grain and fell 15 points shy of my target gravity. This has been happening frequently with malt I've purchased through morebeer recently. The cheaper cost compared to my local shop is not worth awful efficiency. Hello Ricky - Efficiency is the name of the game, this is unfortunate to hear. Please give us a call at 1-800-600-0033 or email us at info@moreflavor.com so that we can assist you. We are here to help. Cheers! Golden Promise delivers on the promise. A little sweeter than 2 Row. Great to mix or use as a base. I use this to add a little sweetness to my IPAs - even used it as 100% of my base malt in one that turned out great!